All you have to do is submit your photo entry & you stand to win $1000 cash! 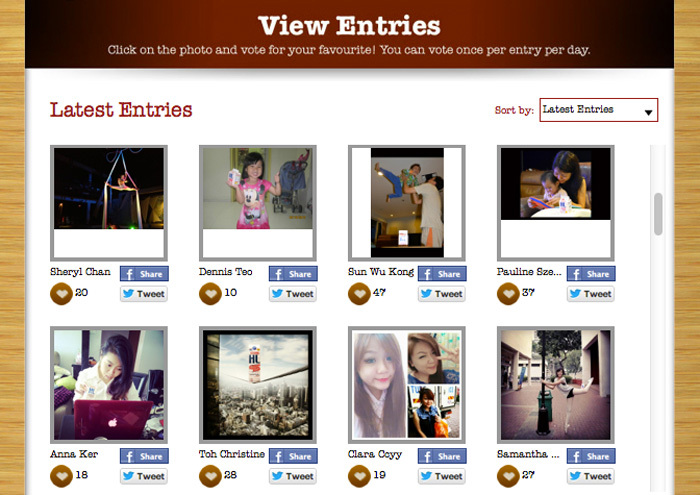 And it's even easier to just VOTE for an entry :D You might win $100 cash! Perfect balance of Highs (calcium, protein, vitamins) & Lows (lactose, fats)! 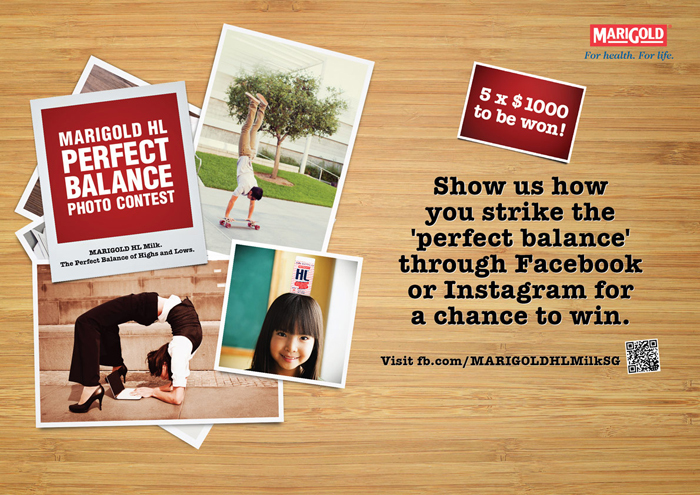 Remember, you DOUBLE your points if your entry features MARIGOLD HL Milk pack(s)! So I'd recommend you do it haha #kiasu. You don't have to show PHYSICAL balancing acts! It can also be a photo of you showing how you balance e.g. work & fun in your life! Go in & vote for your friends/favourites! Or better yet, submit your own entry! The judges score (60% of your total points) based on creativity so have fun with it! Here's my entry, which features two mini HL milk packs prominently! 3 comments on "Perfect Balance"
Brigid: :OOOO That's so nice of you! I wasn't really intending to join per se haha omg thank you for your effort!